For the first time, more Koreans consider themselves non-believers than those who say they are believers, the latest census shows. Non-believers accounted for 56.1 percent of the population ― 27.5 million ― in the Statistics Korea 2015 Population and Housing Census. The figure has jumped almost 10 percent from 10 years ago, according to the report. While respondents were mainly into non-Catholic Christians, Buddhists and Catholics, Christians totaled 9.68 million (19.7 percent), topping the number of Buddhists ― 7.62 million (15.5 percent) for the first time. But Rev. Kang Seok-hoon from the National Council of Churches in Korea has questioned the veracity of the result, saying reports from different Christian bodies showed they were actually losing believers. Experts said the overall Christians figure might have included believers not registered in orthodox institutions, or heretics, and those who consider themselves Christians but do not attend church ― also known as "Canaan Christians." A Christian forum on Jan. 5 raised awareness of Canaan Christians, who are estimated to number about 1 million in Korea. The forum was told that the issue of Christians leaving churches or showing enmity towards their religious leaders should be considered seriously. 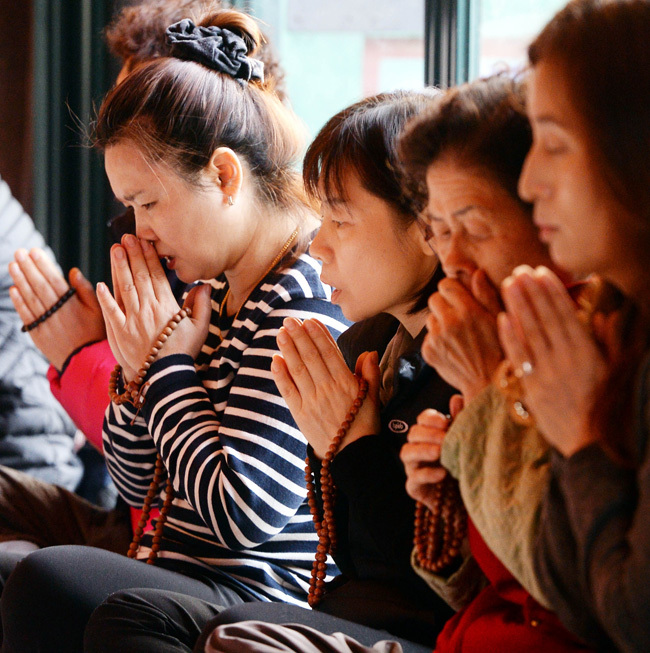 Buddhist officials said they regretted they had been "neglecting teaching doctrines to non-believers compared to Christians who almost ‘risked their lives' in evangelizing," according to Hankook Ilbo. Representatives of Catholics, who numbered 3.89 million (7.9 percent) in the census, said the figure was different from an internal survey, which showed there were 5.66 million Catholics, all of whom were baptized believers. The census report hints that some baptized believers may consider themselves non-Catholics. It showed that Catholics who had not participated in fellowship meetings for more than three years accounted for 41-51 percent of believers in Daejeon, Gwangju and Suwon parishes. "Christians were elated but scratched their heads, Buddhists were shocked and repented, while Catholics were calm yet deep in thought," a local report said of the census result.